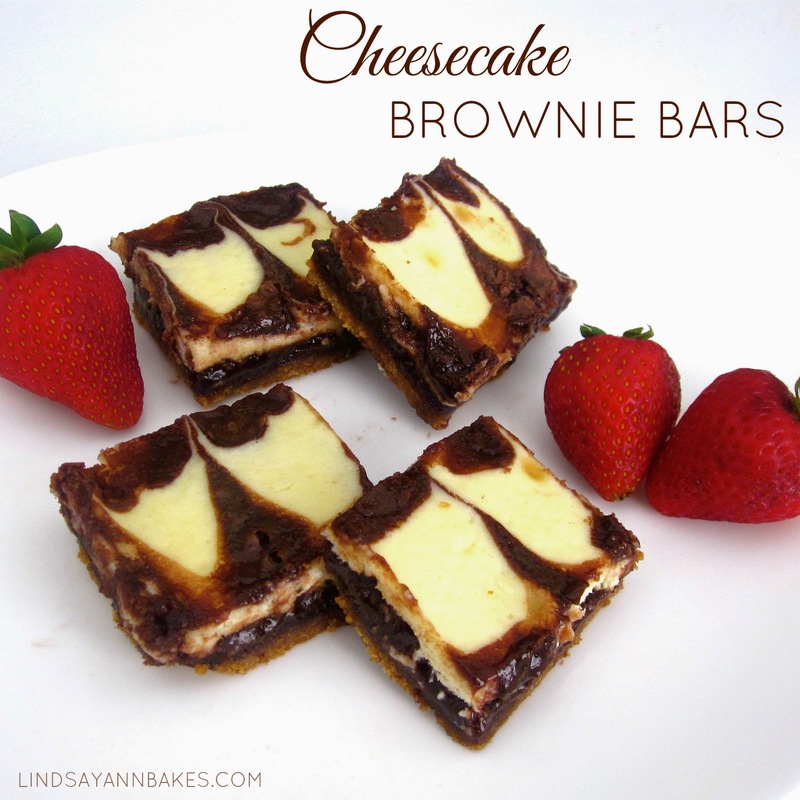 A perfect way to combine two of my favorite desserts! A buttery, brown sugar graham crust, beneath fudgy brownies, swirled with a cool, creamy cheesecake mixture... sinfully decadent! I prefer these cold, straight from the fridge, so you get a nice cool chocolatey cheesecake texture! Reduce heat to low and add the sugars, chocolate, and cocoa, stirring with a wooden spoon until smooth. Remove from heat and stir for about a minute to cool mixture. Mix in the vanilla extract and eggs, one at a time, beating well after each addition. Stir vigorously for about 1-2 minutes until batter becomes thick, smooth and shiny. Stir in the flour, baking powder and salt, until just incorporated. Pour batter over crust, reserving about 1/2 cup of batter in a plastic sandwich bag for the swirl on top. Beat cream cheese on medium speed until smooth. Add sugar, vanilla, and egg yolk and beat until incorporated. Spread evenly over brownie layer. Snip corner of brownie batter filled bag, and pipe a vertical lines from one end of the pan to the other. Take a knife and drag it horizontally, from one end to the other, as shown. You can also try a layered effect, by simply layering the crust, followed by the cheesecake layer, and brownie layer, and bake as directed.